We know and understand the importance of making the best decision, for your home or business. 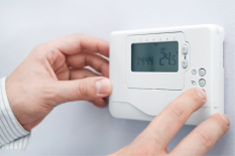 Your heating and cooling systems play a key roll in the comfort of your surroundings. At Allfaze Mechanical, we offer sales, service and installation of products from many well known industry leaders. Below are just a few of the manufacturer's we recommend to our customer's. Heating - Whether you need heating service for your furnace, heat pump, or boiler, the experienced staff at Allfaze Mechanical has you covered. 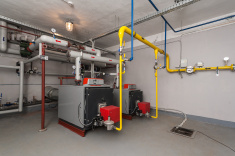 We are fully equipped to perform any furnace, boiler, or heating services you may need. Whether it’s a home or business, anywhere in Berkshire County, Allfaze Mechanical’s professional team is dedicated to your comfort and satisfaction. We have a wide range of heating products and services available, and we always tailor our services to meet the growing needs of our customers. Air Conditioning - Your air conditioning is an important part of your families homes comfort, and you can’t trust its service to just anyone. 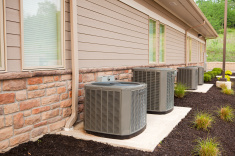 At Allfaze Mechanical, we are experts when it comes to everything AC related ...from minor repairs to complete system upgrades, we can help you keep your air conditioner running in peak condition. We provide unparalleled air conditioning service, installation and replacement throughout Berkshire County, for both residential and commercial applications. Did you know that air conditioners installed just 10 years ago, could be half as efficient as current systems? Upgrading your air conditioning system could mean a lot of money in your pocket from energy savings alone! Radiant Heat - Radiant floor heat provides heat from the floor, warming the body and objects rather than heating the "air only" like traditional heat sources. 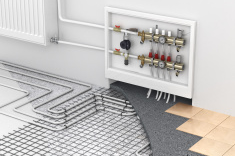 Allfaze Mechanical has been installing radiant floor heat in both residential and commercial settings for many years. This application can be installed under carpets and concrete, tile, marble, and wood floors. Radiant floor heat produces comfortable and even heat, and is both economical and cost efficient. Radiant floor heat can be installed in new homes or additions and sometimes with existing floors. Plumbing - When looking for a dependable plumber in Berkshire County for repairs, replacements, or installations, give Allfaze Mechanical a call. We can do it all from the repairing of a persistent dripping of a faucet to the complete plumbing of a new home or building. If our expert contractors find that no repairs can be made to resolve the issue, we can also install new appliances. We are more than just a plumbers in Berkshire County, We offer a full range of heating and air conditioning services too!